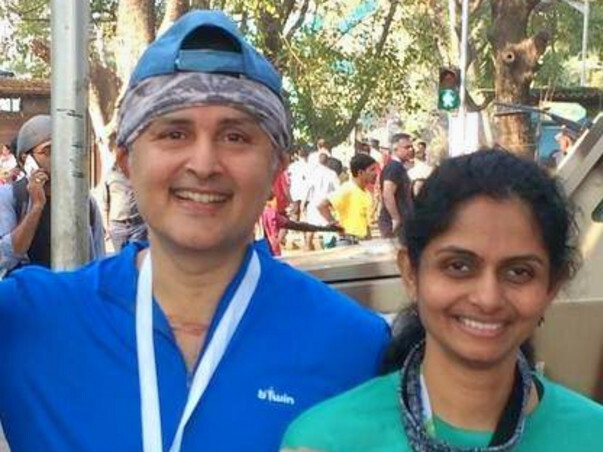 Naren and Ashwini are passionate about their fitness – enjoy running as fun and to keep fit. They have been training with Runners High for almost 3 years now. Both of them are passionate about giving back to the community and see the association with Mitra Jyoti as a part of their goal towards that. 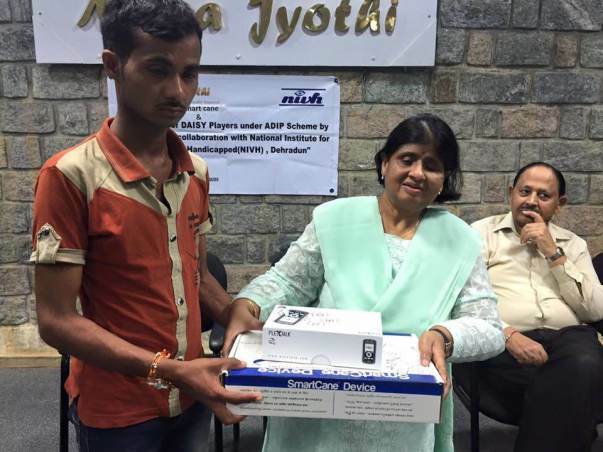 Mitra Jyothi is a registered trust (under Indian Trust Act) located at Bangalore in the State of Karnataka and has been working for people with disability in general and the visually impaired in particular for the past 26 years (started in 1990). 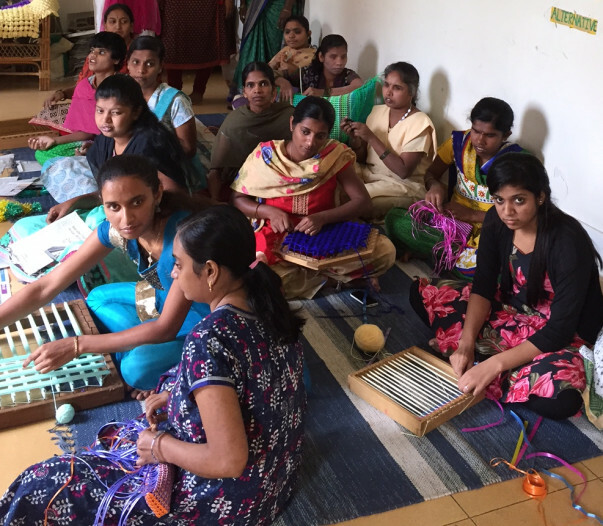 Mitra Jyothi has now taken up the ambitious project of supplying Braille Books in Kannada for visually impaired children from rural Karnataka. This shall be a select collection of 30 story books for children, identified by Mitra Jyothi and aims towards promoting the reading habit in the visually impaired among the rural poor. This is possible only with the availability of accessible reading material! 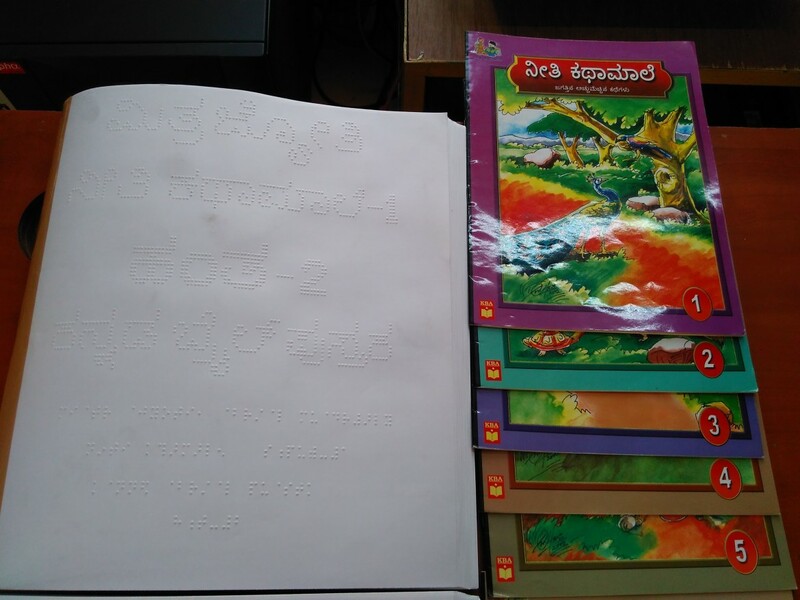 To create and distribute such accessible material in the form of Braille Books in Kannada, Mitra Jyothi has launched the "Donate for Braille Books" campaign. Your help will make this dream come true! 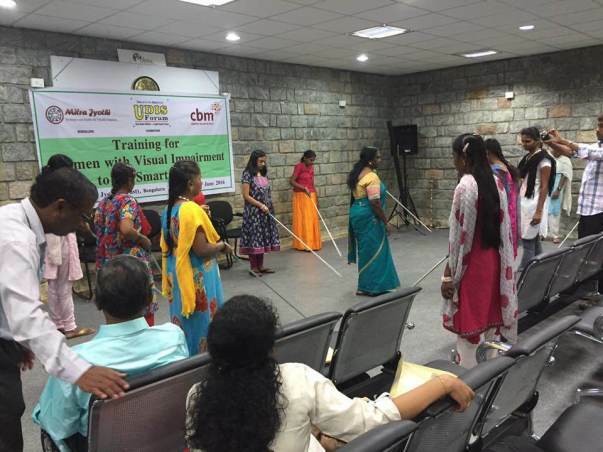 There are an estimated 45 million people in the world with visual disability and one in three of them are in India. 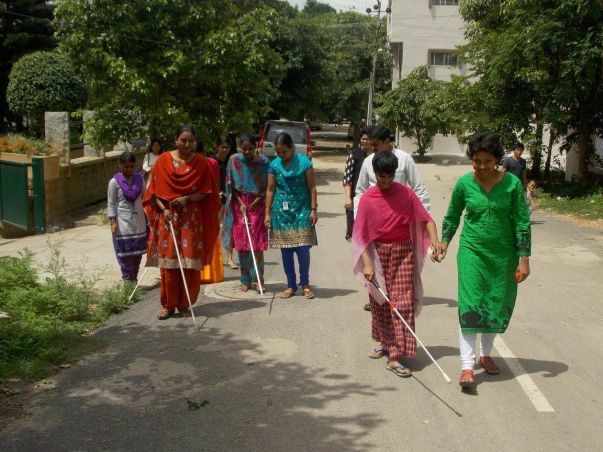 India has an estimated population of 15 million people who are blind. The only means of basic education to these people is through Braille. 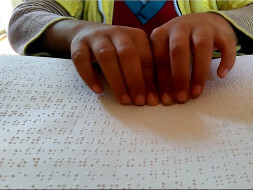 Availability of Braille books in local languages is extremely limited and is nonexistent for the rural poor. Apart from school text books blind children are completely deprived of reading material. Mitra Jyothi shall identify 30 different story books in Kannada suitable for general reading for children from class 1 to class 10. These books will be printed in Braille and distributed to the blind schools in Karnataka - there are 30 blind schools in Karnataka that are actively serving children from rural communities. Production and printing costs of a 100 page book in Braille is Rs.210 per book. An average Class 1-3 level book shall have about 20 pages and a class 8-10 book shall have 200 pages. On an average if every book has about 50 pages, the cost of each book will be approximately Rs.105 and close to 4600 books can be produced if we collect Rs.5,00,000. Once the fund raising drive is complete, Mitra Jyothi will publish the status of the project on its website. every detail including the list of selected books, production and distribution status, recipient schools, relevant photos etc will be published on the website. 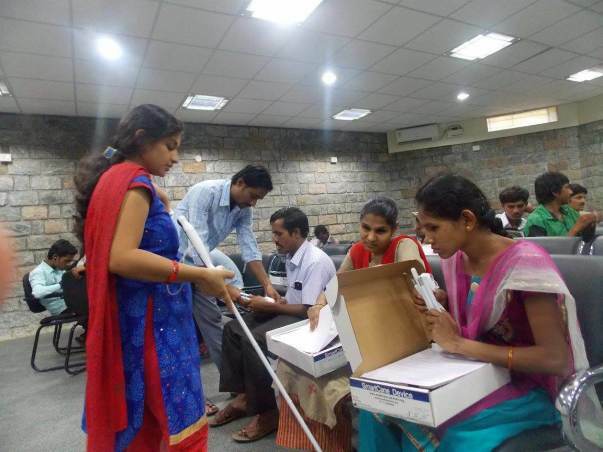 Help us achieve this dream of distribution of an estimated ~5000 braille books in Kannada! Donate for this most noble cause and share your posts! To register for Bengaluru Marathon click here. Activities covered at Mitra Jyothi under the project are listed below: Convert to Braille format, proof read and save master braille copy. Convert PDF to word using PDF converter or OCR based on the type of file (editable pdf/image pdf). Edit it to accessible format especially for tables, images, magazine format to normal and correct mistakes if any. Add breaks wherever necessary to indicate paragraph, chapters and other logical breaks as per Braille requirement. Print the braille books, organize and bind. Proof read a copy and do random check of others for pages. Pack and post to students across pan India especially Karnataka. 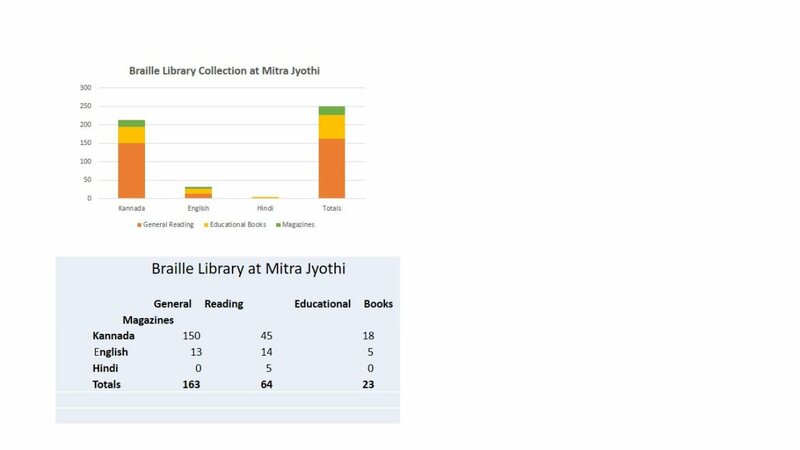 Mitra Jyothi is happy to announce that we now have a Braille Library with 250 books covering various topics. The books are in Kannada and English with a majority being in Kannada to accordance with the demographics of the beneficiaries we support. These 250 books added include fiction, non-fiction and other general reading material. 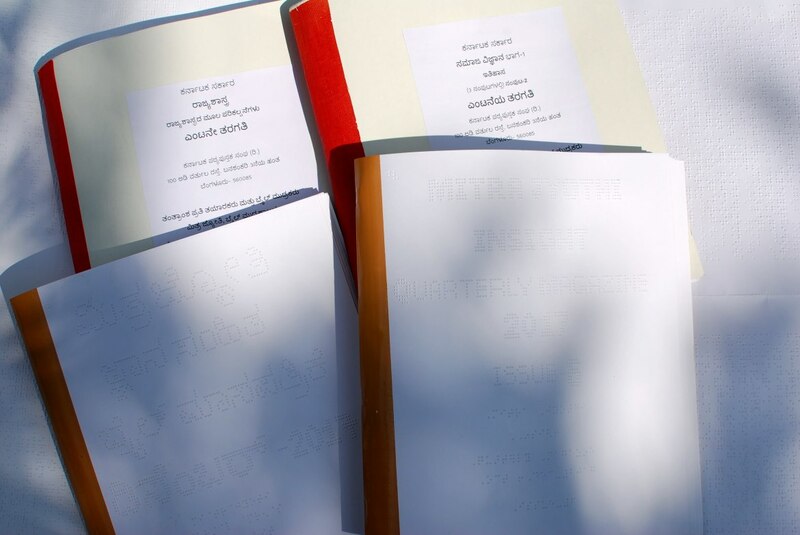 with your support, these books were transcribed to Braille and produced in Mitra Jyothi over the past year. This has been possible only with your support of this program! Please check our website http://www.mitrajyothi.org/ to get a copy of our Braille book Catalog. Apart from these 250 books, we have worked on School Text Books (Karnataka State Syllabus) for classes 7 through 10 and sent 1500+ text books to 10 different schools for the blind across Karnataka. The Schools listed below. 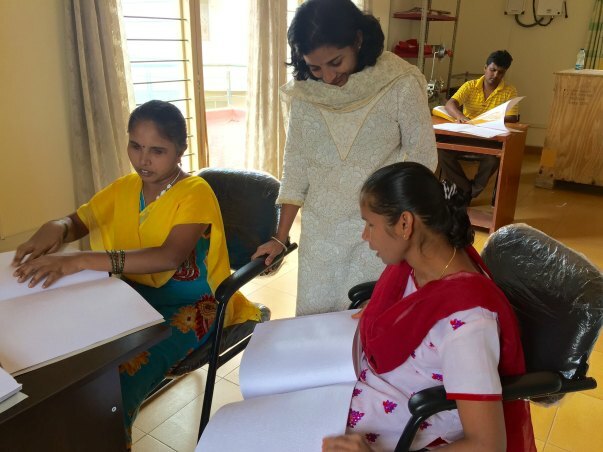 Mitra Jyothi is very happy and proud to say that the Kannada Braille Book Printing Project has started and production of some books have already begin at our Braille Press! This is such an exciting project! Imagine the smile on every child's face as she/he reads through these lovely story books. Simple pleasures that last with us for a lifetime - now in Braille! Sincere thanks to all our supporters who have made our Crowd Funding Initiative for this project a big success! You have made this project possible!!! Many thanks to the employees of Persistent Systems and Persistent Foundation for supporting this cause as well! As each child a smiles with happiness reading her/his book - your contribution is acknowledged in immeasurable ways! You are welcome to come and be a part of the production process, come visit us! Good luck for your full marathon! You are both going to rock your first full marathon!! Best Wishes for the noble cause.